GMAT or GRE for MBA admissions? Should you take the GMAT or the GRE for MBA applications? This is a question that applicants often ask themselves, and others. While it has been a matter of debate since top schools started accepting GRE scores in addition to GMAT scores, recent data on average GRE scores released by top business schools makes it clear that the field is not even for students taking either exam. Yes, you read that right. Applicants using GRE scores seem to be at an advantage, at least as of now. Do business schools prefer the GMAT over the GRE? The debate over the GMAT v/s the GRE for MBA applications has traditionally centred on the notion that business schools somehow prefer the GMAT over the GRE. Up until 5-6 years ago, few business schools accepted GRE scores. Today, however, almost all schools do. Yet, some people (students, prospective applicants, and even some admissions consultants) have been advocating that applicants should take the GMAT instead. The common reasoning provided is that the GMAT has been the ‘traditional’ test that business schools have offered, and therefore they are better able to evaluate applicants submitting GMAT scores. However, this bears closer scrutiny. No business school states such a preference or has ever stated it. Further, it bears thinking that if business schools accept GRE scores, they would be comfortable evaluating applicants with them. Is it possible to convert GRE scores to GMAT scores? It in fact is. The Educational Testing Service, which administers the GRE (and earlier used to administer the GMAT as well) provides its own tool for the purpose. This tool is meant to be used by business schools too, as the title of the relevant page helpfully states. The percentiles of the conversions match roughly as well, though it needs to be stated that the GRE and the GMAT are different tests, so an exact matching of the percentile performances is not expected. 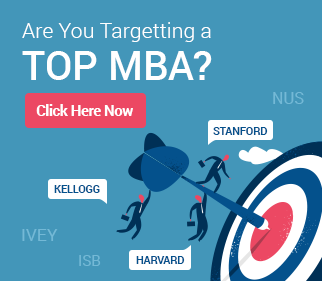 Are people taking GRE for MBA admissions at an advantage? That appears to be the case, looking solely at the data. The average score for MBA applicants to Stanford GSB is 733. The GRE equivalent is 328 (164V,164Q), which translates to an equivalent GMAT score of ‘only’ 710! Stanford is not alone on this either. Away from the ETS tool, we can look at this in another way. 164V on the GRE translates to 94th percentile performance, and 164Q to 88th percentile performance. The corresponding numbers for the GMAT at those percentiles would be 50Q and 41V. That translates to an overall GMAT score of 740. Again, a caveat here – as the tests are different, percentile performances across sections cannot be compared directly. However, even adjusting for the differences, students taking the GRE seem to be at a bit of an advantage. 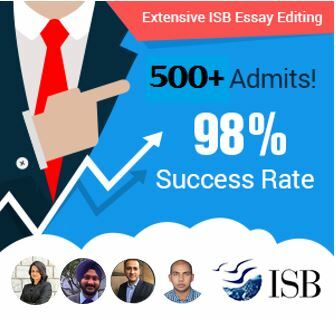 This is not just a one-off example, but seems to be a trend across B-schools, as of now, irrespective of ranking. We will use a few more examples to make the point here. Data for this analysis has been taken from P&Q, which in turn indicates that it sourced it from US News. One of the key takeaways from these trends is that schools with the highest GMAT averages are also the schools with the highest GRE averages, though the equivalent conversions for the GRE seems to indicate much lower scores in comparison. Therefore, doing well is critical irrespective of whichever test one plans to take. While those taking the GRE seem to have a slight edge, one must remember that the number of applicants submitting GRE scores are much fewer, and so this general trend may not hold for each applicant. Finally, with more applicants taking the GRE, the average GRE scores are expected to go up year by year too.